Selecting the perfect domain name for your website is the most important, and oftentimes hardest, step in establishing a web presence. There are plenty of tools out there that can help you ease the burden of checking available domains and suggesting similar names that are related to your searches. In this article, you’ll read about 12 neat web tools that will lend you a hand in finding and choosing domain names. You’ll find a variety of search and suggestion tools that have an assortment of features so that, hopefully, you’ll discover a few favorites. 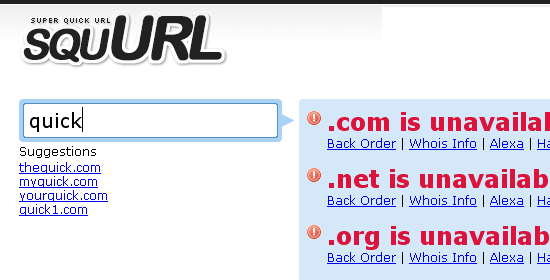 Nowadays, it’s difficult to find a domain name that end with the popular .com, .net, and .org TLD‘s. Domainr is an innovative web tool that helps you explore other TLD’s that have made popular websites like last.fm and del.icio.us stand out from the crowd. Of course, searches will also include popular top-level domains that are available. 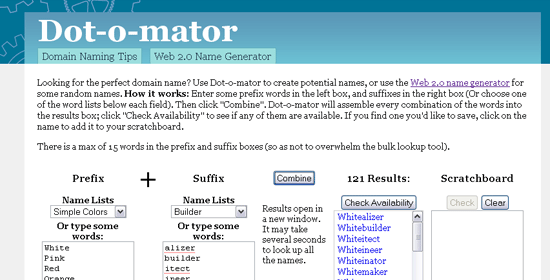 Dot-o-mator is a web tool that suggests site names based on prefixes and suffixes that you’ve entered (keywords). Alternatively, you can use a category of prefixes (like “Tech” or “Games”) and suffixes (like “Hardware” or “Web 2.0 words”) to generate suggested site names for you. 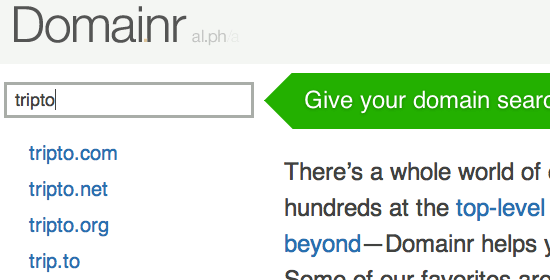 It’s a helpful tool for, at the very least, obtaining inspiration for a site name. They also have a fun tool called Web 2.0 Domain Name Generator that generates “Web 2.0” site names like “Yakidoo” or “Zoompulse”. BustAName is a robust and feature-packed domain finder that uses linguistic data to help you search domains. BustAName allows you to save and manage/organize your searches for later use. It has a “List of Words” feature that advise you of similar words to your search – which you can then organize inside folders. Available domains that are returned can be sorted in a number of ways such as “by quality (readability)” or “by length” for easier viewing. Though the web tool is very intuitive, the creators have a video tutorial on how to utilize BustAName. Domain Tools is a set of domain name search engines that will help you uncover relevant information about certain domain names. They have a “Whois” search that reveals records about the party who registered the domain, a “Suggestions” search to help you find similar domain names, a “Domain Search” which shows you what TLDs of a domain name are available, and domain names that are “For Sale” or “At Auction”. Domize is a fast, Ajax-based search engine that you can use to rapidly check the availability of domains. Domize has a widget that you can install on your website to provide a domain search engine to your visitors. Domize also has an iPhone app – because domain name inspiration can hit you at anytime (hopefully you have your iPhone with you when it happens). squurl is another fast Ajax-based domain search engine. 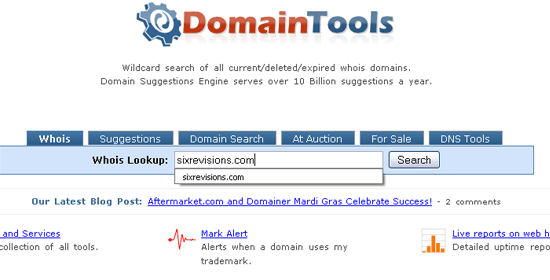 It has a “Suggestions” feature to help you discover similar domains to the ones you’ve typed. 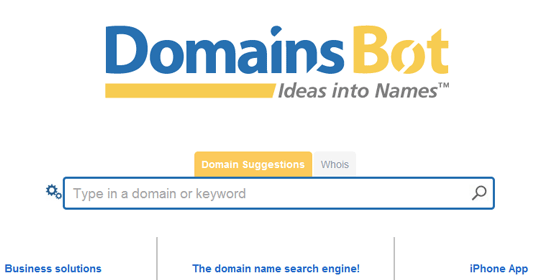 DomainsBot is a domain search engine that has an “Advanced” search feature so that you can conduct a more customized and refined search. For example, you can set the maximum domain character length to eliminate lengthy domain names from the results or exclude domain results that have a hyphen (-). Update: dnScoop no longer exists as of April 16, 2014. Links to it have been removed from this post. 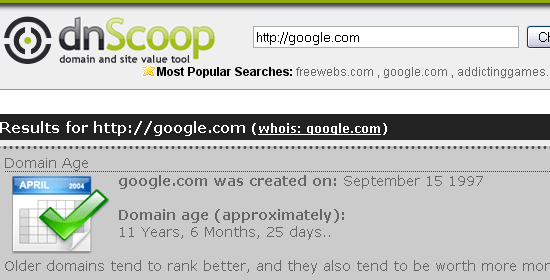 dnScoop tries to estimate the value of a particular domain based on several statistics such as site traffic, links pointing to the domain, and other factors. This will help you gain some insight on the value of a particular domain name in case the name you really want is “for sale” and you want to see if the asking price is fair, or to make an offer to a site owner that owns the domain you really want. 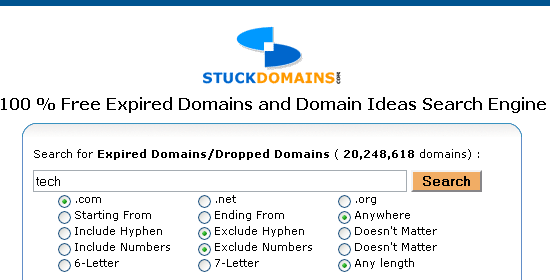 StuckDomains is a database of expired domain names that previous owners have not renewed. This can be an opportunity to find a domain name that doesn’t involve odd names like “fujiyakuku.com”. 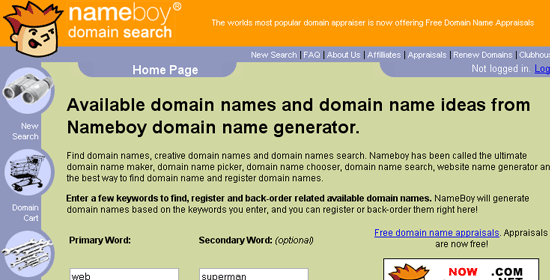 Nameboy is a popular domain name generator. This straightforward web tool asks for a “Primary Word” and “Secondary Word” that describe the topic of your website, and based on your input, it suggests possible domain names. For example, typing in “web” as the Primary Word and “superman” as the Secondary Word returned results such as webhero, supeweb and supermanweb. There’s a “Rhyme” option that tries to suggest domain names that rhyme with the search phrases, but the feature didn’t seem to work on the above example. It’s common practice to keep domain names as short as possible so that it can be quickly typed and also so that they’re easier to remember. 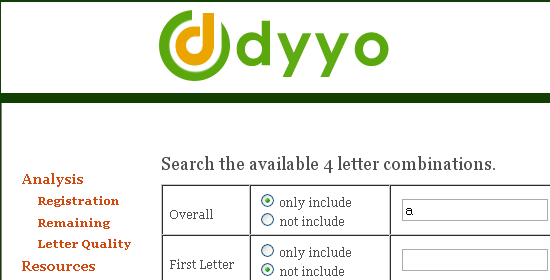 dyyo.com specializes in helping you find 4-letter domain names to keep your URLs terse. Update: Ajax Whois is now a different website as of April 16, 2014. Links to it have been removed from this post. 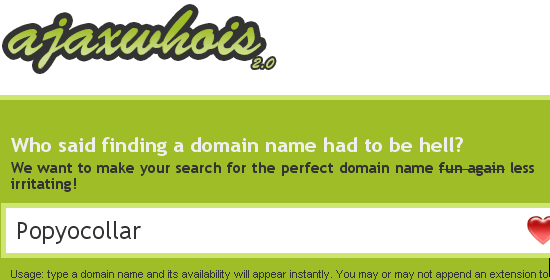 Ajax Whois is a simple Ajax-based domain search that makes domain-name-hunting effortless and rapid. To make your searches even faster, they have a set of useful keyboard shortcuts to satisfy the power user in you. If you have a tool that you absolutely love that wasn’t on the list – please share it with us in the comments, we’d love to hear your thoughts since a domain name is so important to a website it’s usability and future optimizing. These tools are vital to use because the last thing you want to do is create a domain for an auto parts retailer for example, and find out that for some reason people think your site is a restaurant. The domain is the first thing a user sees on the web, so be sure to choose wisely. [Update APR 16 2014]: dnScoop and Ajax Whois is no longer available so this article has been updated.